Perfectly released for an easy but compelling summer holiday read, Deadly Deceit is a political crime thriller set in the Caribbean islands, Turks and Caicos. Refreshingly, there is a woman at the helm of the story and despite the potentially privileged nature of such real-life roles Jessica Turner is a relatable character, which makes the book more enjoyable. 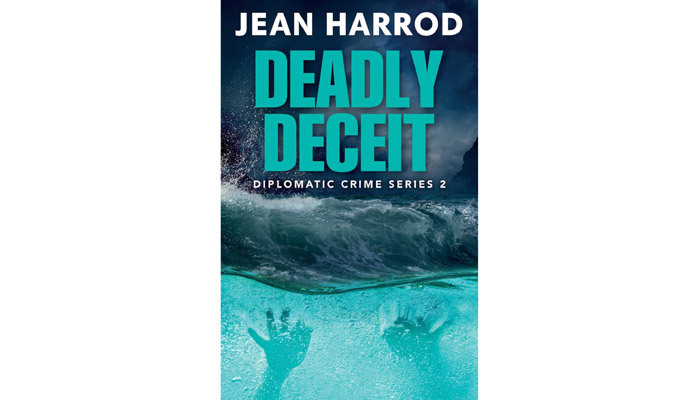 Deadly Deceit is Harrod’s second book in a series of three that launched Jessica Turner into the limelight in ‘Deadly Diplomacy’ in 2015. Turner is a young but experienced diplomat who is thrown into an unexpected maelstrom of events when she is sent from Washington DC to temporarily manage the governor’s office in the Overseas Territory Turks and Caicos Islands. Leaving her busy partner in DC where he is First Secretary to the British Ambassador, Jessica resumes professional life having taken sabbatical to recover from personal trauma after her husband and child were murdered in Australia some years ago; the story weaving into ‘Deadly Diplomacy. Pleased and empowered to be back in post, Jess finds herself at the centre of strange goings-on in a culture that seems familiar and also seductive with its turquoise waters, palm trees and golden sands, yet alienating and mysterious, too. Following a series of inexplicable deaths and accidents, events unfold to reveal an emergence of outlawed voodoo, linked to an even more sinister crime: the illegal trade in immigrants from nearby Haiti. She doesn’t have to work alone though. Jess’s investigations are helped by DI Tom Sangster, the detective who worked on her husband and child’s murder – and when, we discover, she was also shot. The Australian detective is an amiable and likeable counterbalance to Jess who bears all the (laudable) hallmarks of a dedicated civil servant and together, they form a tight team that decodes the terrible crimes in Turks and Caicos that go to the very heart of British politics. Like Stella Rimmington and other professionals who have turned to writing fiction about their line of business after retirement, the reader ploughs into authentic insight and interesting (but fictional) detail. Since Harrod is a former diplomat it’s evident she has invested this experience into a well crafted plot which also chisels out thoughtful human dynamics around trust and betrayal. 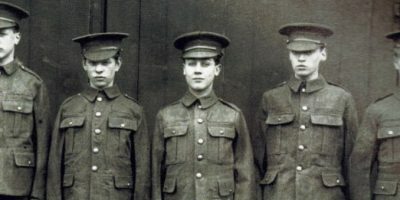 Diplomacy chimes with her style of narrative and the impartial analysis with which Jess Turner goes about her daily work. That includes a deft eye for detail when it comes to describing island life, too; easier perhaps when you were once lucky enough to get a posting in the Turks and Caicos Islands! It’s a good, compelling story even if it can be a little starchy – bordering on perfunctory – in places but Harrod creates convincing, strong characters and a faultlessly contemporary plot, which might even make you look forward to the third book in the series.